I am currently making EWS calls and am able to get back the Availability / Busy times with start/end DateTime values for multiple people. I now need a way to display this within a UI. 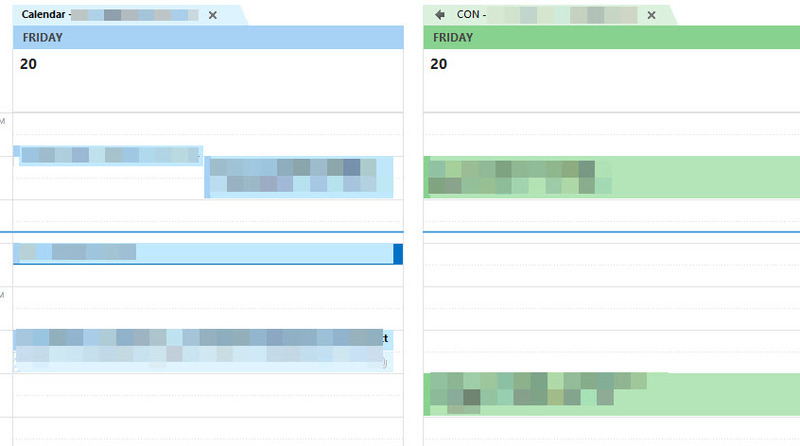 Ideally I would show something very similar to the Scheduling Assistant that is seen within Outlook. I understand that no such control exists. Is there a way using C# to programmatically build the data that is shown on WPF XamOutlookCalendarView? See attached example of what is desired. - xamSchedule -> Data -> Schedule View Single Calendar. I hope this is what you need. Let me know if you have more questions of you need further assistance. This actually looks like a much better View. Can you provide code or doc that shows how to build out the Calendar info/data using code? We currently have an EWS api call to get the Free/Busy times for the supplied email addresses and are populating the WinForm UltraWinSchedule, which is okay... But this is better. This works... But I need a way to programmatically build out the Appoitments/Calendar Items by using the response of a EWS call for 5+ users and show all of their calendars together. Is there a way to condense the horizontal size of so that more time slots (30 mins) can be seen without a Scroll Bar being required? I also do not see a runtime property that can be set programmatically so that the user groupings are overlaid and tucked up tight to each other on Load. Versus the separate mode shown in my screenshot... 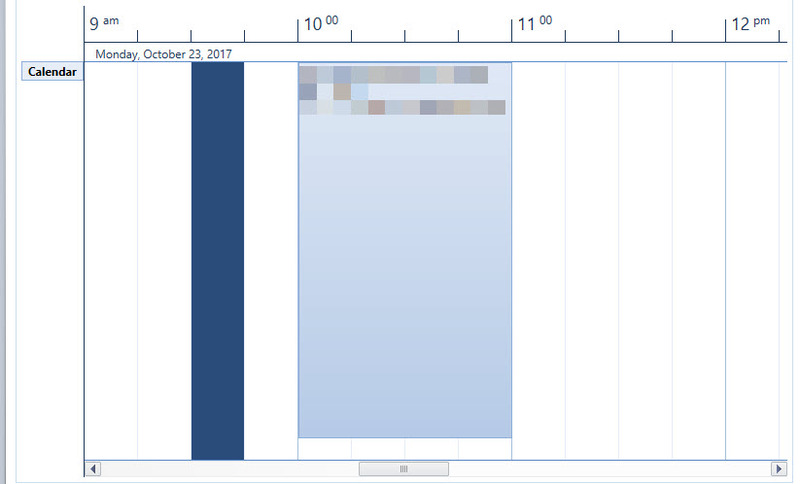 I am aware of the ShowCalendarOverlayButton setting, but with this the user has to click to condense the overlaid view. I want it to load this way by default.